This is good news for aviation fans. 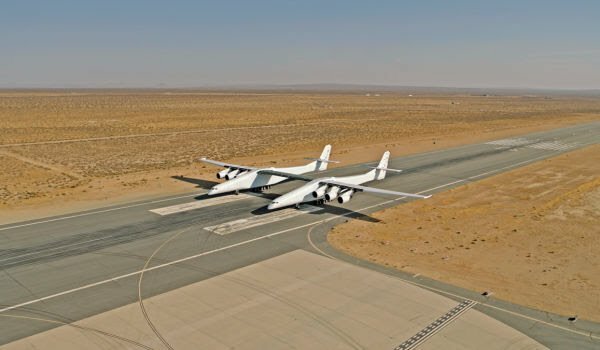 The World's biggest plane, Stratolaunch, has reached another important milestone. This is because for the first time ever, the Stratolaunch aircraft moved out of the hangar to conduct aircraft fueling tests. This is important because it marks the completion of the initial aircraft construction phase and transition into the aircraft ground and flight testing phase. Rockets have always been the way to (who founded Stratolaunch) get satellites into orbit since the dawn of the space age. But Microsoft co-founder Paul Allen hopes to shake that up with help from the world’s biggest airplane. 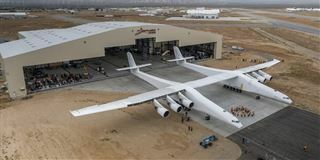 The plane Stratolaunch is a 500,000-pound beast which is powered by six huge Pratt & Whitney turbofan engines with twin fuselages and a wingspan of 385 feet and can fly to an altitude of 35,000 feet. Allen’s Seattle-based company is developing it as a platform for lifting rockets into the stratosphere before launching them into space. It’s seen as a cheaper, more reliable route to low-Earth orbit (LEO), which is the sweet spot for many kinds of satellites. 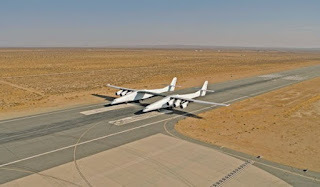 Even though Stratolaunch has not yet taken flight, but it has reached a top taxi speed of 46 miles per hour. If all goes according to plan, the plane will take its first test flight next year. While the company might not be able to challenge Elon Musk SpaceX yet, it might spur innovation in the space industry. Which is truly what we want.